In today’s hyper-competitive world, young athletes are often pushed to compete and pressured to succeed to the point of burnout. It doesn’t have to be that way, though, because many young runners genuinely enjoy training and racing. But in order to train and compete intelligently—to become better runners yet avoid injuries or academic and social missteps—they need guidance. 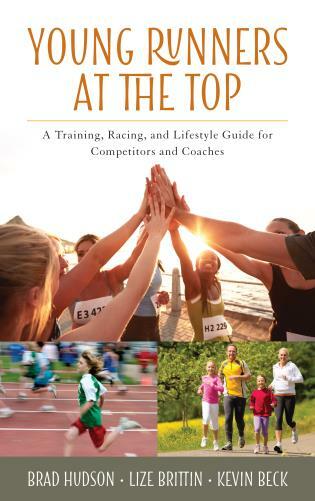 Young Runners at the Top: A Training, Racing, and Lifestyle Guide for Competitors and Coaches provides helpful instructions and suggestions for runners of all abilities. Drawing on their experiences as coaches and runners, authors Brad Hudson, Lize Brittin, and Kevin Beck offer insights into how pre-teens and teens can become faster and stronger athletes. Chapters cover such key topics as choosing the right gear, cross-training, the mental side of running, new technology, how to integrate running into daily life, and proper nutrition. Sample training schedules for beginning, intermediate, and elite runners make this a truly comprehensive resource for runners at all levels. Brad Hudson is one of the most respected distance-running coaches in the U.S. He competed in the Olympic Trials Marathon and has coached a slew of world-class runners in Oregon and Colorado. He is the founder of Marathon Performance (http://www.marathonperformance.com/) and is the head of the Hudson Training Systems Elite group (http://hudsoneliteco.com/). Hudson is the coauthor of Run Faster From 5K to the Marathon. Lize Brittin is a writer and runner. She is the author of Training on Empty (2013) and has written for publications such as Competitor, Active Cities, Boulder Magazine, and Thrill. At age sixteen Brittin set a women’s record at the Pikes Peak Ascent, considered one of the most challenging mountain races in the country. Kevin Beck was a senior writer for Running Times magazine for over a dozen years. He is a regular contributor to Competitor Running, Triathlete Magazine, and Men’s Fitness and is the editor of the training book Run Strong (2005). Beck has coached at the high school and open category levels and gives talks across the country. Children are not miniature adults—but they will grow to become adults. Brad Hudson, Lize Brittin, and Kevin Beck understand this, and in Young Runners at the Top they have created the first and only training guide that is specific to the needs of youth runners yet also takes the long view, offering guidance to ensure its readers run well and happily not just today but for a lifetime. — Matt Fitzgerald, running coach, nutritionist, and author of How Bad Do You Want It? Young Runners at the Top is a must-read for high-school coaches or parents looking to maximize their runners' potential with smart training and avoid some common mistakes that lead to injury and burn-out. 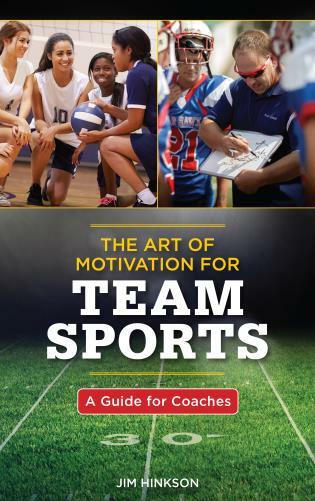 This book helps coaches and parents understand the delicate balance between fitness and competition, all while keeping in mind the goal of the sport is to develop the whole person and promote a life-time love of running. There are plenty of books about childhood, parenting and running but, until Young Runners at the Top, none have attempted to confront both. Through their book, the three well-appointed authors offer a road map to guide those confronting what may be and often is a gauntlet of a journey that young runners face. Young Runners at the Top will help them confront injury, burnout, stress, and eating issues, as well as tough decisions and coaches. A compelling insight into running for fun and for longevity rather than the need to win and succeed at all costs, and the differences between individual runners and what motivates and drives them. 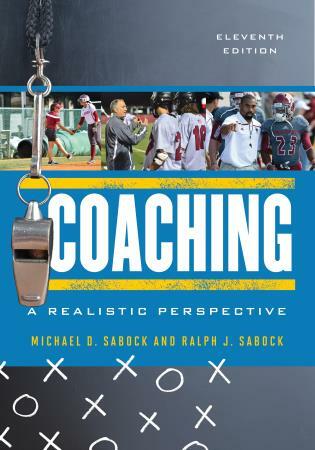 There are plenty of thought-provoking ideas for coaches, parents and athletes to discuss to enable healthy, lifelong habits. Using examples of athletes who have excelled both as youngsters and adults and citing wisdom from top running coaches, this book encourages young runners to develop the inner strength and discipline required in a demanding sport. Ultimately, Young Runners at the Top shares with athletes, coaches, and parents not only what it takes to become a top runner, but also how to maintain a positive attitude and enjoy the act of running day after day, year after year.